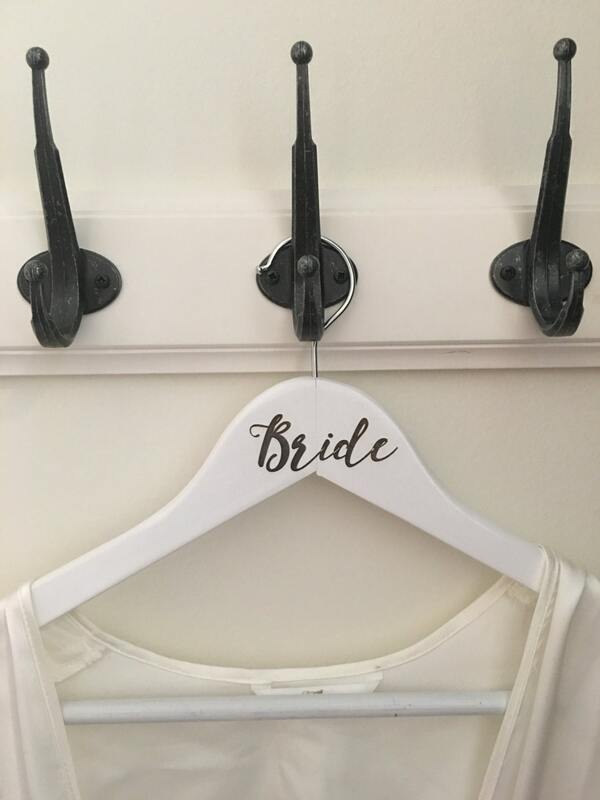 Because your wedding is all about the details... 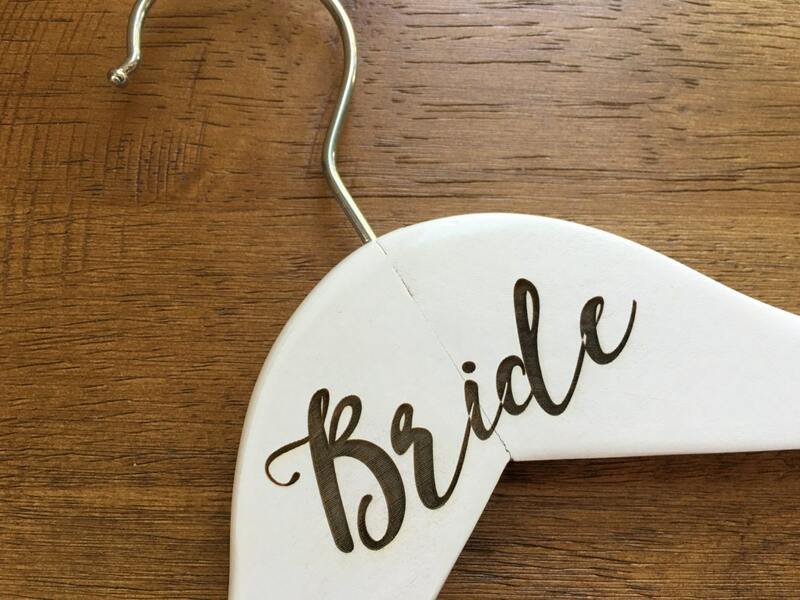 These laser engraved Bride hangers will immediately enhance the beauty of your special day. 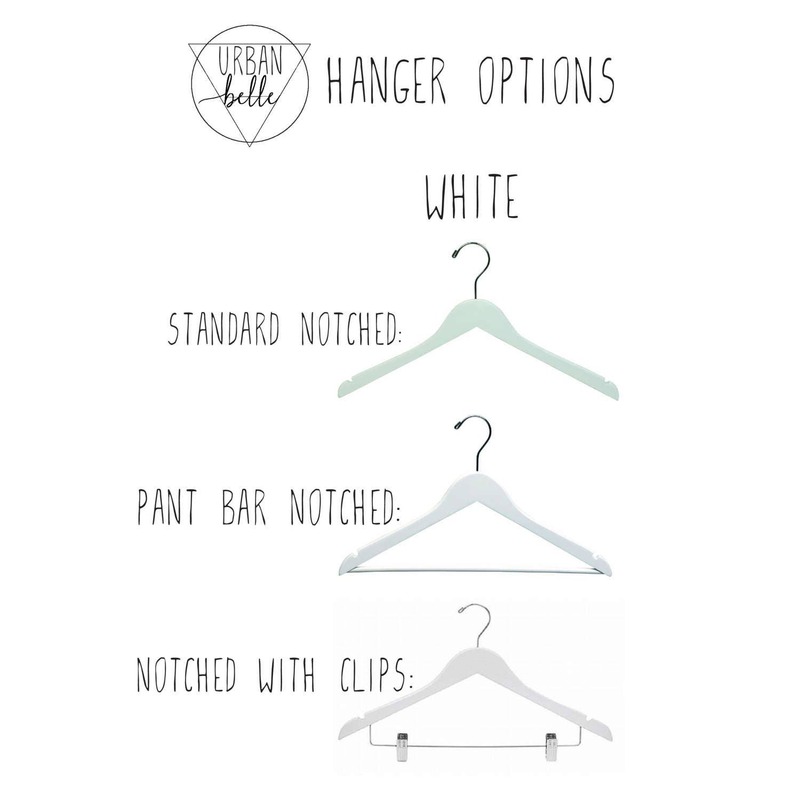 You can view the hanger options in the photos section. 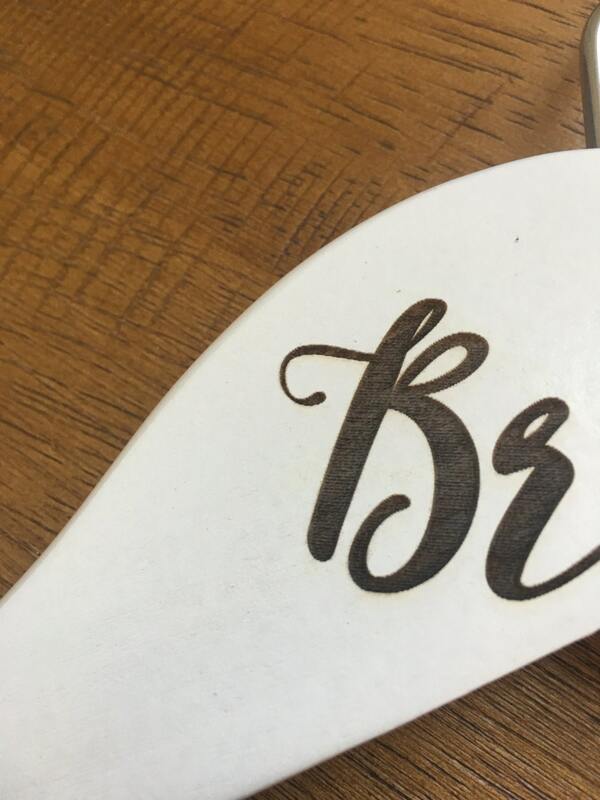 Your hangers will be laser engraved to perfection exactly in the design as pictured. * Dimensions: Standard Notched 16", Pant Bar Notched 17", Notched with Clips 17"
These hangers are sturdy, well-constructed hardwood hangers that feature a space-saving flat body, finished with a double coating of lacquer to prevent splintering. 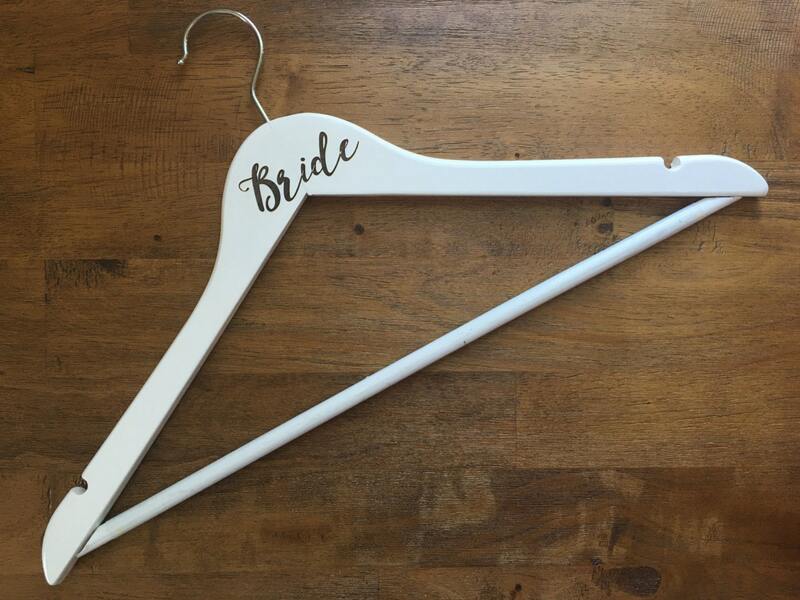 If you need your hanger(s) sooner then the usual 2/3 week turn around time, indicate the need by date in notes at checkout as well.